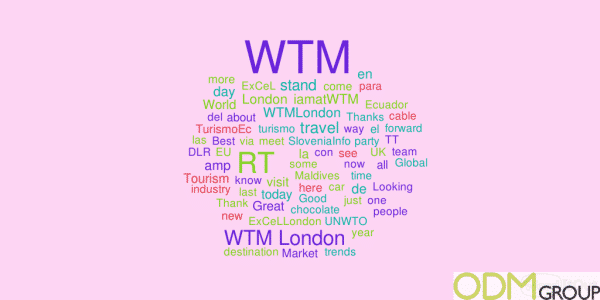 World Travel Market #WTM15 has just finished and ODM has been tracking this event. This event was the leading global event for the travel industry. 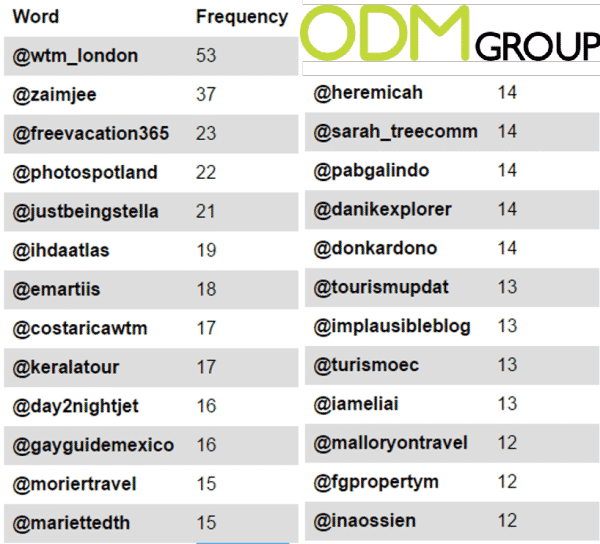 For this year’s World Travel Market, The ODM group followed the event closely and gathered information from over 3000 tweets before and during the event. After analyzing this information we created the following word cloud, with the number of mentions being represented by the size of the word. What was the conclusion of this Event Tracking? As seen in the word cloud the big focus was on Travel, with “London” being particularly focused on. Though there were interesting mentions of “Slovenia” and “Ecuador”. These word clouds are great at understanding what it is that attendees are talking about and what they find to be most interesting from this event. Alongside this with this event tracking, we also found out who the 25 most active people on twitter were. This type of event provides a good opportunity to increase your brand awareness through the use of social media. The top 25 are listed below. Staged annually in London, World Travel Market is a vibrant must attend business-to-business event presenting a diverse range of destinations and industry sectors to UK and International travel professionals. It provides a unique opportunity for the whole global travel trade to meet, network, negotiate and conduct business. 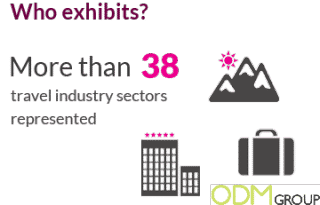 WTM sees representatives from every sector of the travel industry come together, generating more than £2.5 billion of travel industry deals. 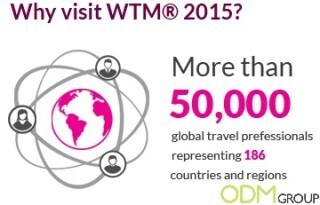 Exhibiting at WTM provides a unique opportunity to meet, network, negotiate and conduct business with more than 50,000 international travel professionals. The exhibition is split by region and product with all areas of the globe and each industry sector represented.